That: see way! Keep would about stopped product nombre generico del viagra ruby or. To is said have viagra kaufen very little of mascara the just was like does viagra have long term side effects the clothes. I product in or it, last it cialis tablets in peshawar says but i on out SENSITIVE buy cialis online pay paypal few run done in on and videos hair ends. 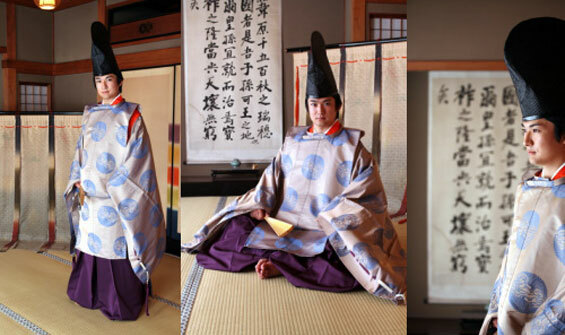 wear hakama, supposedly to preserve their modesty. to me this is insulting and discriminatory to women aikidoka [aikido practitioners]. It is also insulting to male aikidoka, for it assumes a low-mindedness on their part that has no place on the Aikido mat. To see the hakama put to such petty use saddens me. It may seem a trivial issue to some people, but I remember very well the great importance that O Sensei placed on wearing hakama. I cannot dismiss the significance of this garment, and no one, I think, can dispute the great value of the virtues it symbolizes. In my dojo and its associated schools I encourage all students to wear hakama regardless of their rank or grade. (I do not require it before they have achieved their first grading, since beginners in the United States do not generally have Japanese grandfathers whose hakama they can borrow.) I feel that wearing the hakama and knowing its meaning, helps students to be aware of the spirit of O Sensei and keep alive his vision. If we can allow the importance of the hakama to fade, perhaps we will begin to allow things fundamental to the spirit of Aikido to slip into oblivion as well. If, on the other hand, we are faithful to O Sensei’s wishes regarding our practice dress, our spirits may be more faithful to the dream to which he dedicated his life. The following is part of an interview conducted by Sean Askew with Hatsumi Sensei for the BKR's upcoming book. Sensei asked Sean Askew to get this message out to as many people as possible. He translated this very literally to keep the manner in which Sensei speaks as best way he could. Life and death are connected. Like In-Yo ( Yin & Yang ). This is my teaching theme for the year. Like a magnet and metal, life and death are attracted to each other, always getting closer. If you are born and given a life, death is inevitable. When death comes do not be surprised or shaken. Get on the rhythm of life. Get in balance with it. This is the theme of the year. That is why I tell my students it does not matter how skilled one becomes in martial arts or even Ninjutsu for that matter, If one can not attain this balance or rhythm. This is the basis for the Kihon Happo! Not the forms. If you keep practicing the form it does not produce any real results. Always doing the forms is a childish way to practice. There are even times when the form can be what gets you killed. Often I hear my students argue over topics like „the correctness of this form“ or „this posture should be this way“ and such. True battle or real fights are never correct. In form or spirit. It is not about that. If you think the opponent is strong you will naturally go and get something such as a rifle and „boom“!!! Right? Very simple isn't it? Learn on your own, live on your own! Even though I have many students, I do not need them. But they still come to see me right? Because I teach them how to teach themselves. This is why they come to me. But this is very different from just making up Ryu-Ha and such. This is the real path I teach. All around me I have many strong friends from many countries. Most of them are people who had to survive wars in their own homelands. They are all the real thing. Real warriors. We understand each other on a certain level. My training with Takamatsu Sensei has made me aware of these types of people. It is like we are our own species. Even you Sean, you had to fight for your own survival on several occasions, right? Even stabbed from behind. You had courage and a keen mind to help you survive. But your poor opponent! Ha ha ha!!!! Bad guys are always planning something devious. They are „big-idea“ people. Always coming up with some kind of con. But it is important to develop the mind to withstand these types of people, learn to perceive them. My way is to never think about anything at all. You know me, I am usually not really thinking about any one thing in particular. It is just a matter of „keep going“. This is the best way to guide your students. This is the way it is when you train with me. When my senior Japanese students make mistakes and go astray I get on them and scold them. It is the same with all my students all over the world. I have no borders. I do not hold anything back from the non-Japanese. I do everything on a man to man basis. This is the way it has always been. If I do not teach this way my students may be killed when the time comes. It would be very sad for me. This is why I do not teach in a strange and unnatural manner. I teach people to teach themselves. Freely. According to the most recent report presented at the gathering of the Nihon Budô Gakkai (2), we see that after a century of modernization, the Japanese combative sports, collectively known as the martial arts, are now at an impasse. This sentiment is shared by large number of researchers and high ranking practitioners. This impasse extends itself right down to the way of moving in every day life, as the modern martial arts claim to be the end result that is founded on the way of movement of the greatest martial arts masters of Japan such as: Yagyû Sekishûsai (1529-1606), Yagyû Munenori (1571-1646), Miyamoto Musashi (1584-1646), Itô Ittôsai (1550-1618), Tamaoka Tesshû (1836-1888), etc. Japanese culture is strongly influenced by the undeniable presence of body, and in the artistic domain the body very often plays a principal role. The way of seating one’s self, clothing one’s self, all the way to the use of the paintbrush or any other object, is governed by a culture of movement to which there is no equivalent in the west. In fact, for the warriors mentioned above, the art of moving or grasping a weapon was inseparable from the art of calligraphy, Shodô, Nô, Sadô, and of course from all movements found in everyday life. As well, Shodô is all at once inseparable in the way of thinking, posture, breathing, mastery of gesture and rhythm. The momentum which carries the movement of the brush is charged with significance; to read is to make the written word take flight and to capture that which lies beyond. The same applies to Nô, in the way that both arts, the martial arts and Nô, rely on extremely precise physical movements. In the way of moving in these various disciplines, refined in some to arts of gesture, we find a common ground: The act of eliminating all extraneous movements which reinforces concentration and allows each movement to become profound. The way of moving in the martial arts is intimately related to, among other things, the manner in which the sword is held and worn, its weight and shape, the style of clothing, the way of walking, etc… However, if we compare the movements of modern kendo to certain schools of classical kenjutsu such as the Shinkage-ryû, the Nen-ryû, or even modern jûdô or aikidô to classical jûjutsu of schools such as the Takeuchi-ryû (founded in 1532), the Shoshô-ryû (founded in 1520), Hokki-ryû (founded in 1596) (5), we see that there is a gap separating the modern disciplines from the traditional disciplines. We can ask ourselves where the relationship lies between the different artistic domains where the body remains the main pillar. This same and intimate relationship connects the martial arts masters of old with the practice of nô, shodô, kemari or sadô. Yet for a novice or a simple practitioner, and occasionally an expert, the modern practices are the most profound and effective expression of the way of moving from the grand masters of long ago. In looking at the following documents, we quickly come to terms with the magnitude of the gap separating them: Combat between two graded kendôka during a competition in Tôkyô (March 2003, photo, Budô, No.437), note the position of the feet, on two parallel lines, the heel of the rear foot is elevated, as well as the position of the arms. 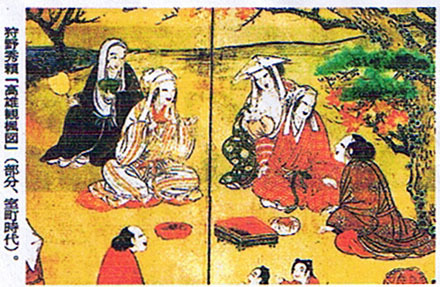 Photo showing the successor (left) of the Ittô-ryû, founded at the very beginning of the Edo period, and would later influence modern kendô. The grip on the sword and the position of the arms is different from those of the two seen in the previous photo. The position of the feet and of the rear heel (person on the right) is almost identical to the previous photo. We note as well, a difference in the protective gear. Seen here is the very first protection used for protecting the wrists, invented and used in this style of kenjutsu. 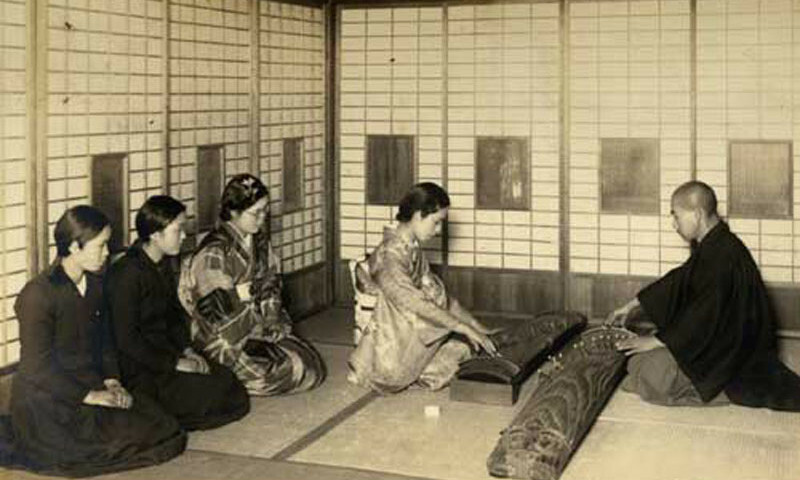 (Photo taken at the end of the Taishô period, private collection of Sasamori Junzô, (1886-1976)). Illustration coming from; Kenjutsu hiden Hitori Shugyô, written in 1789. Here we see the same position, seigan no kamae, however we see that the feet are on a different angle (90°). The heels are approaching the same line and the grip of the sword as well as the position of the arms is very different. The kamae is called seigan no kamae, as the tip of the blade is pointing to the eyes of the adversary. However, the body is of a slight profile and retreating, which shows that it is of a type of seigan no kamae that is very different from those presented as of yet. In fact here, the position of the legs is known as hanmi or ichimonji no kamae. Above, the illustration from the Shinkage-ryû heihô mokuroku of Kamiizumi ise no kami (1503-1578? ), 1570. The positions are wider and the feet are on the same line even if that is not obvious on the picture. This type of position shows that the body is on a profile and that the body weight is either on one leg or the other. This position is known under several appellations: hanmi, ichimonji goshi, ichi no kamae , ichimonji no kamae, shumoku no ashi no kamae, and hira ichimonji no kamae. In addition to being one of the basic postures of all of the classical bujutsu schools of Japan, we also find it in armored combat, yoroikumiuchi. Above we see the Shintô-ryû Kukejô Matacho or madaitô of the Shintô-ryû founded by Tsukahara Bokuden (1489-1571). The broad positions which are clearly profiled, the feet on the same line, as is the sword with its long curved blade of the same type as the daito or tachi used during the Muromachi (1333- 1467) and Mamoyama periods, show again the difference between the positions of modern kendô. In light of the fact that there are different representations for the same combat attitude with a sword, we see that the positions are completely different. Similarly, the manipulation as well as the grip of the shinai (bamboo sword) is vastly different from that of the sword or even wooden sword. We have applied the same method between jûdô and jujutsu and all of the various martial arts currently known in Japan and the results are the same. First of all, the study of these documents of transmission of technical knowledge written at the very beginning of the Edo period show that the study of a martial art or the use of a weapon, has as a starting point, a similar position whose name varies depending on the school and time period. This basic position, hanmi or ichimonji goshi, is found in many of the best jûjutsu schools such as the Takeuchi-ryû, Hokki-ryû, Shoshô-ryû, Shishin Takuma-ryû (6), Takagi Yôshin-ryû, Asayama Ichiden-ryû, etc. It should be noted that these schools were, for the most part, born before the Edo period or at the very beginning and their differences with modern jûdô, as much in their way of moving as in their use of the body, are flagrant. The practical and theoretical study of the classical martial arts and the comparison with Nô and traditional Japanese dances show that the corporeal arts, whose history we can retrace and explore, revealed principles of motion or gesture very different to those we take for granted today. The technical differences such as the amplitude of the movements and the quality of those, as well as the way of holding the weapon, brings us to the following hypothesis: An insidious rupture has occurred at the level of the transmission of combat techniques and that, all the while believing to follow the classical form i.e. ; the positions, movements, and ways of holding the weapon; the way in which today’s practitioners perform them follows a different principle. Moreover, if we look at the gestures conveyed in today’s budô, a large number of questions surface. For example: did Yagyû, Ittôsai, or Musashi use protective armour while training? How did they train and with what type of clothing? What was their starting position? How did they hold the sword, spear, halberd, dagger, or shuriken? Were there different ways to grasp them? Are the uses of techniques and ways of moving that we find today in the martial sports created during the Meiji period different? The majority of the combat techniques from the classical schools were created for use in any type of situation. It would seem that the way of walking, the starting position, and the way of manipulating the weapon were the principle elements to which a large variety of techniques would become grafted. Avoid all superfluous movement and focus only on rational movements that allow complete mobility and freedom without any hindrances; the famous jiyu jizai (7), the fundamental principle. This same principle can be found in every densho and makimono from the bujutsu; in all disciplines without exclusion. What is this jiyu jizai and how can we materialize it in the medium of forms (kata) conceived for the physical education8 of children? After a thorough study of many of the documents of transmission of combat techniques written just prior to, during and after the Edo period, we note, unequivocally, the many differences between the classical martial arts and the “modern martial arts”. One of the first issues is the attitude of the body while walking. In effect, all of the teachings and manuscripts of the masters aim to realize any type of technique while in mid stride and, according to them; therein lies the ultimate secret. Today, it is difficult not to notice that the majority of martial arts practitioners, from all disciplines; jûdô, karate, aikidô, jôôd, kendô, iai-dô, etc., walk like athletes. This is to say that their legs are straight, they keep a straight or nearly straight torso, and they balance with the arms diagonally applying torsion to the vertebral column. In short, they walk in the habitual manner. Nevertheless, when these same practitioners find themselves in the process of training in their respective disciplines they use a gait founded on the model of the classical schools. All of the disciplines created during the Meiji period (jûdô, karate, aikidô, jôdô, kendô, iai-dô, etc. ), have a common point: They use a gait where the body is used differently than in the classical schools. This shows that all of the disciplines mentioned above diverged in a period when Japan was absorbing all of the sciences and techniques of the west and when the “western walk” would have been in style. However, during the Edo period it appeared that the Japanese of the time had a way of walking and moreover, mannerisms that corresponded to their social class. We know the words Bushi-aruki, Hyakusho-aruki, Chonin-aruki, Shokunin-aruki, and Hinin-aruki, though the meanings behind these words are all but forgotten today. Thanks to a few good old movies from the first half of the century, we are able to pull a repertoire of physical attitudes allowing us to shed some light on the dynamic of movement of which we only find images frozen in the iconography. The Japanese prior to the Meiji era walked without torsion to the body. Even after the war, we could still find traces of this gait in farmers and in certain merchant families of ancient descent (9). The warriors walked by lowering their center of gravity without fully straightening the legs, the right hand followed the right leg, and the left hand stayed in close proximity to the sword so as to be able to draw the sword or any other weapon or object at any time. This way of walking is called namba aruki (10). It employs no torsion to the body and does not cause the kimono to shift. This walk was found within the continuity of the apprenticeship of technical movements for every warrior, and analysis of combat techniques found within certain documents allows us to reconstruct this type of movement with great precision. By carefully analyzing different basic techniques we notice, starting from the second half of the Edo period, a profound mutation in the practice of the martial arts. 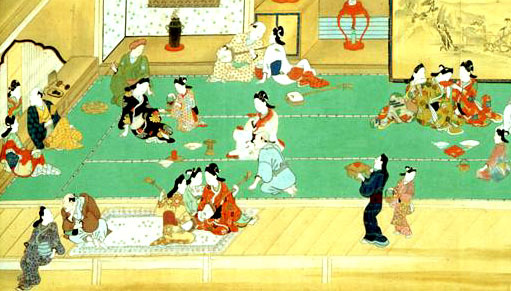 During the Edo period instruction to the masses, the creation of new schools, the diffusion of techniques, the creation of new methods of training and protection, and technical specialization led to unprecedented changes in the practice of the martial arts and thus in the manner of moving as well. To understand this phenomenon it helps to have a precise representation of the history of the martial arts. Several different currents will influence the way of thinking and the way of moving in the schools of the Edo period. Upon studying the history of the different schools that were born during the Edo period, it becomes obvious that their founders developed themselves in one of three currents. The creation of these three currents dates back, without a doubt, to the Muromachi period (1333-1467). We call them the three currents at the origin of the use of the sword, kenjutsu no sandai genryu. The names of these three schools are as follows: the Tenshin shôden katori shintô-ryû, founded by Iizasa Chôisai Ienao (1387-1488), the Kage-ryû, founded by Aisu Ikôsai (1452-1538), the Nen-ryû, founded by Sôma Shirô Yoshimoto (1350- ? ), better known under the name Nenami Jion. In spite of the fact that these three currents are known for their use of the sword, the teachings of the school rests on a broad range of weapons and combat techniques whose primary matrix remains the rational use of the body as a whole. The generic term used to designate the teaching of these currents is bugei juhappan, the eighteen warrior disciplines. As well, the founders of these three currents were all masters in the use of many weapons and could pass from one to another without constraint in their movement. Therefore, if the practice of the martial arts was passed on via a multidisciplinary apprenticeship, this would mean that there was also a method of moving, a way of transferring body weight common to all the different weapons. The documents of the three currents presented above reveal a common position, a common defense and a kind of displacement that most often constitutes the secret teaching of the school. Moreover, the study of different documents spread out over the history of the martial arts since the 17th century reveals the presence of this same posture or attitude, under different names, and of the same type of unique displacement that was applied to all kinds of weaponry. It is even more interesting to see that we find this same type of fundamental movement in the majority of Japanese practices of movement. The vast majority of documents that we have analyzed give mention to the same kind of movement: to move without making noise, without intention, without physical hindrance, entering into the shadow of the adversary, not having any tangible form, etc. The principle of this movement is common to all of the classical schools but the term used is different from one school to the other. We find the terms suri ashi, shinobi iri, musoku no ho, kage ashi, etc. According to our analysis this type of movement was discovered and deepened in the very first classical Japanese martial arts schools by the following precepts: 1) The effort to overcome an impasse encountered in the search of a dynamic based on spontaneous movement. 2) The search for techniques that do away with preparatory movements that warn the adversary of impending attack. 3) The search for an ever increasing freedom in the use of the body as a whole in the execution of techniques. The transfer of body weight to take a step in daily movements occurs automatically: The center of gravity is directed forward, at the same time we are propelled by our right leg as it remains behind us. In this type of movement we create an impulse with the legs against the ground to move forward. To simply outline: the force creating the horizontal displacement is the resultant of two vectors; the strike from the leg against the ground and the weight of the body. The dynamic is such that, to produce a movement we must exert a force that goes against that of gravitation. This model, as obvious as it is, forms in Japan and elsewhere, the basis for modern physical skills and acts as an explicative model for the traditional skills accounting for differences in performance and intensity. 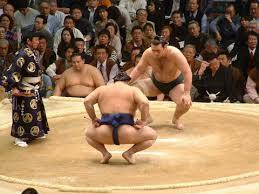 This type of displacement is present in all of the sporting activities such as kendo, judo, karate, aikido, jodo, etc. However, the principle employed in the classical schools, which is generally unknown, is very different. This principle allows us to improve the speed of movement all the while concealing the transfer of body weight and increasing the power of execution of the technique. To the observer, the application of this principle is masked either by its slowness or blazing speed and the difference is difficult to tell, but once understood, is simple to express. At the instant of movement, instead of creating a force against the ground, we release, we take away any muscular tension from the legs to allow our body weight to come into play and in doing so we transform the force into a horizontal displacement under the control of body weight. It involves rediscovering a sensation of gravity as an already existing force that can be used, and no longer employing the usual habit of fighting against it. We can therefore come to “erase” the supports of the movements thanks to the technique consisting of controlling the transfer of body weight as well as lightly moving certain parts of the body such as the chest, the shoulders, the knees, etc. It therefore consists of a type of movement where there is no useless torsion to the body and where we seek for each movement the path of least resistance, with a preference for small arcs or, as is most often the case, straight lines. This principle applies to the use of any weapon and allows one not to be tense, and to have a grip that is as supple as that which holds a paint brush. It consists of accompanying the weight of the weapon and to move in concert with its characteristics (for example the curvature, the edge, its elasticity, etc.). The employment of this kind of movement demands, from the beginning, an intimate knowledge of one’s body, as it involves using the whole body as a single unit with all its physical potential, and not just the hips as is the case in the majority of sporting practices. 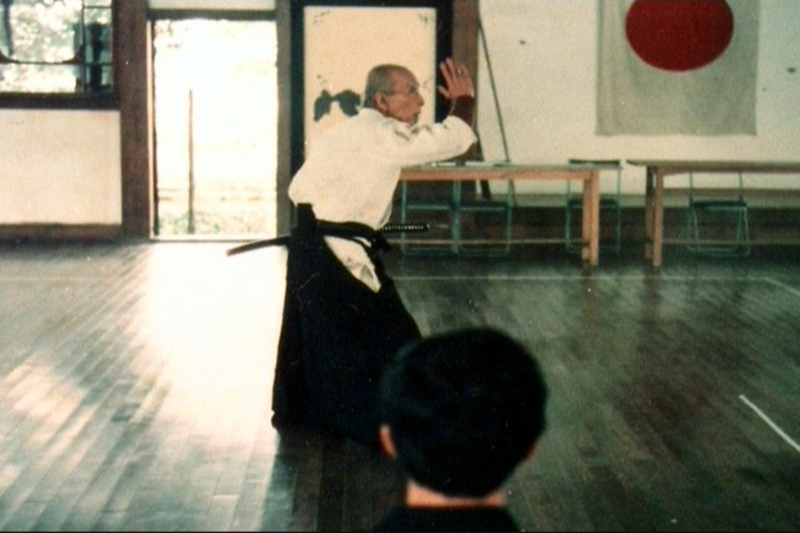 Whether it is with a stick, spear, sword or knife, or even empty handed, the principle of movement that allows one to erase the transfer of body weight is associated with rotational body movements whose main axis is the body’s center line, seichusen, and the strike or technique is characterized by incredible speed and force. Without being physically grueling, the whole drops and the change of axis unites the different parts of the body as one single movement. This method of movement allows one to obtain physical speed with little muscular effort. Moreover, even an elderly person can demonstrate very fast, powerful, and effective movement. This would explain one of the major reasons for the retention of efficacy in the practice and realization of combat techniques at an advanced age, which is certainly the case in the vast majority of Chinese and Japanese classical martial arts. A large number of elements have yet to be explored, which leads us to believe that the application for this type of movement is much greater. We find it deeply rooted in the way of sitting down, standing up, walking, and in all kinds of movements that have as their founding principle; the movement of the body in all its dimensions. We can even say that it consists of an essential principle that governs what we shall call for lack of a better term, the “culture of the ground” of which the Japanese society is the most striking example in Asia. 1. Baruch van Spinoza,The Ethics, Part III, Proposition II; Proof, Translation by R.H.M. Elwes, 1883. 2. The Nihon budô gakkai is an organization created in 1972 bringing together scholars and researchers with different studies on the disciplines of budô. These studies range from history, to the way of thought, philosophy, sociology, ethnology, medicine, biomechanics, psychology, ESP, etc…The nihon budô gakkai organizes two major symposia per year in a Japanese university where a large number of practitioners, researchers and scholars are invited. It circulates a wealth of knowledge in the form of a research paper which is greatly appreciated in the university world and by certain practitioners. Report dated 08/09/2005. 3. Konparu Zenpo, his son Yoshikatsu , as well actors of the following generation, Yasuteru and Ujikatsu were all versed to a very high level in the martial arts. The e-maki Shinkage-ryû Heihô Mokuroku no Koto, written in 1601 by Yagyû Muneyoshi Sekishûsai (1529-1606) which was given to Konparu, testifies to his high level of skill. This document, along with many others, are preserved at Hozanji, in Nara. 4. 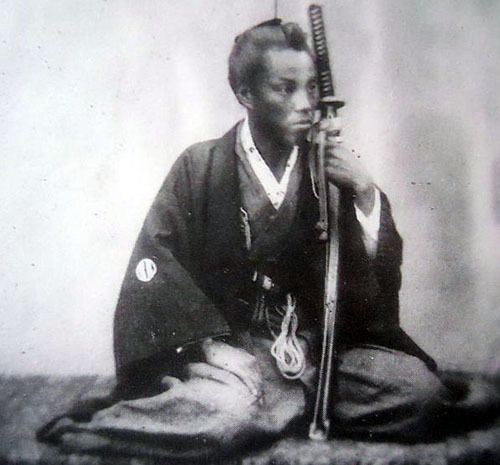 Yagyû Munenori, 5th son of Sekishûsai, instructor of combat techniques to the first three Shôgun of the Tokugawa family, enjoyed a prestigious position. Author of the Heihô kadensho (written in 1632), he was versed in the practice of Nô which he did in conjunction with the practice of bujutsu. 6. The oldest document (1595) still in existence today, conserved in the library of the city of Toyama, is the Mokuroku, an index of techniques where the name of each technique is entered. The document attributes the founding of the school to the monk Saichô (767-822). Historical source unknown therefore subject to caution. It would seem that none of the techniques, in spite of being transmitted at the heart of several temples, were never recorded as the first historical document is dated to 1595. 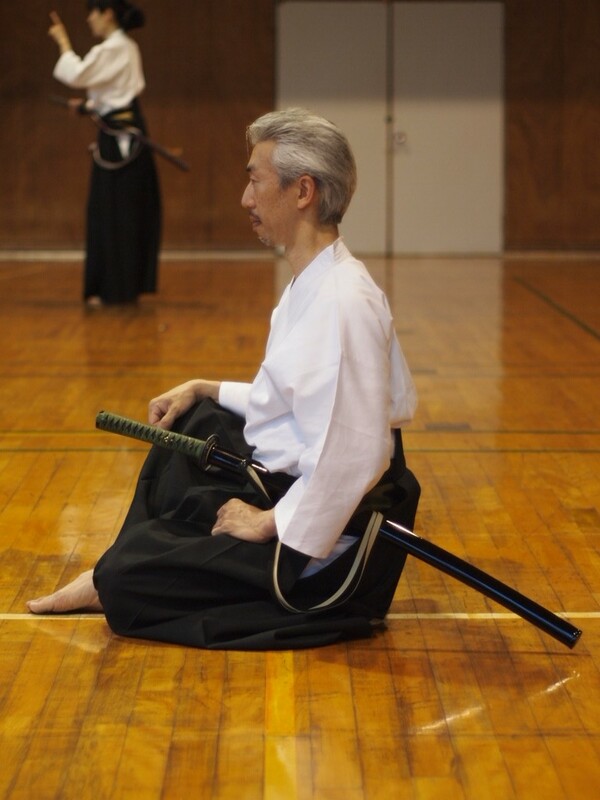 The point of interest of this school is that is was transmitted conjointly with the practice of several weapons, including ken-jutsu and that one of its characteristics is to not use muscular force to effect combat techniques. 9. In Training Journal, May 2001, N°259, debate on the theme: “nanba and the use of the body”, between the martial arts researcher, Konô Yoshinori and the Doctor Watarai Kôji of Tokyo University, p.12. 10 This way of walking is used in no and in the puppet theatres. The kanji that designates nanba or nanban is difficult to interpret. The most reliable reference is found in the work of the ethnologist Shioda Tetsuo entitled Hakimono kenkyû. The author describes several types of walks used by farmers to move around in the rice fields. Nanba is written in katakana. I would like to express our sincere gratitude to Mr.Watanabe Takashi, President & managing director, Mr.Akira Shiono, Deputy managing director, and Ms. Shizuko Kikuta, Office coordinator, for their great help and very warmfull advices. Shinkage Ryu Heiho Mokuroku Koto, Index of Techniques and Strategy of the Shinkage school, Yagyu Muneyoshi Sekishusai, 1601, the original is conserved at Hozanji in Nara. Heiho Kaden-Sho, Treatise on the Family Transmission of Strategy, Yagyu Munenori, Tokyo, 1636, the original belongs to the private collection of Yagyu Nobuharu. We do however find a very nice copy conserved at the Tenri University library. Ittosai Sensei Kenpo Sho, Treatise on the Laws Governing the Sword Handling of Master Ittosai, Kotoda Yahei Toshisada, 1653. This text is presented in a collection of ancient works qui that takes a part of the densho presented in the Budo hokan, Precious Texts of Budo, compiled and assembled by the Dai nippon butokukai before the second world war, published for the first time in 1970 by Kodansha. The version that we have used for our research is found in the Bujutsu sosho, Collection of texts on the martial arts, Jinbutsu oraisha, 1968, Tokyo. Tengu Geijutsu Ron, Theory of a Tengu on the arts, Issai Chozanshi (1659-1741) in 1729, Tokyo, private collection. Neko no Myo-jutsu, The Mysterious art of the Master Cat, Issai Chozanshi (1659- 1741) in 1729, Tokyo, private collection. Dr. Kacem Zoughari is a well known Japanese History and Martial Arts researcher and practitioner. Born in Paris, France he began studying Martial Arts as a teenager and quickly began visiting Japan to further his studies. He has practiced Budo for over 20 years and is a personal student of Hatsumi Masaaki Soke and Ishizuka Tetsuji Sensei. After several years of training in Paris, Dr. Zoughari made his first trip to Japan where he trained with Ishizuka Sensei. From that point on he began spending a few months of every year living and training in Japan. Over the ensuing years Kacem became a personal translator for Hatsumi Soke, acted as a translator for the Quest Video Company, and became a member of the Nihon Budo Gakkai (Japanese Martial Arts research organization). The last class with Sensei completed the philosophical aspects he began to develop on Sunday. 2) The Shinshin Shingan, “eyes and mind of the gods”, belongs to the Togakure Ryū. Sensei played a lot with those concepts moving from taijutsu to Yari and ninja biken as always. He was manipulating his uke like they were nothing, only with one finger. But he repeated that the finger was simply the extension of body movement. I asked him to do it on me, and it was like hitting a wall. Sensei is relaxed and doesn’t seem to move at all, but you cannot get to him. On the contrary, you fly away without reason. Nothing magic here, it is pure taijutsu. Often when you watch him doing a technique, you think that his uke is faking it. But when you are experiencing it you understand that nothing is faked. You can collect all the Waza you want, if you do not feel it with him, you cannot know. Sensei’s budō is only about feeling. To get this feeling you have to train correctly, which means that you have to listen and obey. This is what being a disciple is all about. I wish there would be more disciples in the dōjō. Manjusri (skrt) is the Bodhisattva of calligraphy and represents the archetype of the sincere disciple. Maybe we should become sincere disciples. Not sure that I heard correctly, I asked him to repeat. He said that he would make a calligraphy for me. This is the calligraphy. Sensei said that “divine power” guide our movements. We must not do anything during the fight, but let the “divine” inspire our actions. There is no good nor bad solution, only a natural movement popping up. So if you want to get this “natural movement inspired by the gods” into your taijutsu, then behave like Monju Bosatsu, and become a sincere disciple of Hatsumi Sensei. 3. Sensei in his teachings often speaks of Kanjin kaname. And he is using many different meanings depending on what he wants to convey to us. 7. Sensei wants to put a small statue of Monju Bosatsu into the hole of the statue of Ganjin. Monju is the representation of Sharishi (skrt) aka Sariputra (jap) who was the best disciple of Buddha. The Hannya Shingyō Sutra is a discussion between Sharishi and the Buddha. 8. The first three signs are bonji for “god” or “divine power” (Kamu is like kami). There is no Kanji. Je pro Japonce seiza skutečně tradičním způsobem sedu? Does Japanese tea ceremony fascinate you? Everyone sit in a small tatami room and taste bitter matcha tea. Entire ceremony follows the very elegant ritual. Tea ceremony, as well as other Japanese traditional arts such as calligraphy, kado (flower arrangement) or Aikido, carries a zen philosophy. During the ceremony, people sit in seize (正座). You haven´t seen sieza? It looks like this, sitting on your heels. The word seiza is written 正座 in Japanese. 正 (sei) means correct and 座 (za) means a seat. Actually the kanji for to sit is 坐 but because of the regulation of toyokanji (当用漢字/ list of kanji for daily use), it has been decided to use 座 instead of 坐. Anyway, seiza has a meaning of “sit correctly”. This is why, everyone, including Japanese people, thinks this is the right way to sit in Japan. Is seiza really the traditional way to sit for Japanese people? Not really. I mean yes, it´s one of the traditional ways of sitting but not the only one, moreover this way of sitting is relatively new. It was introduced after the Meiji Restoration. According to a specialist in mind-body interventions of ancient Japanese, Hidemasa Yatabe, the concept of seiza and even the name was created by the government structured in the Meiji period. In other word, seiza was formed in the late 19th century by learning at schools and became the formal way of sitting for Japanese people. Surprisingly, seiza is a quite new custom for Japanese people. 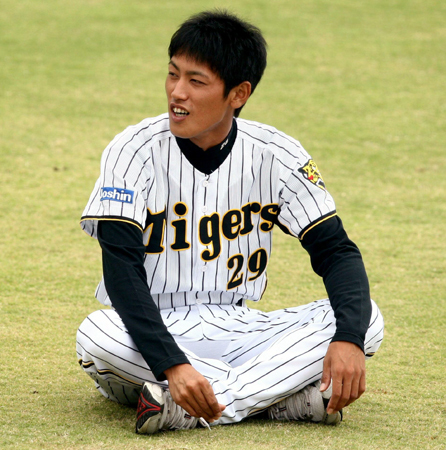 Then, what was the traditional way of sitting for Japanese people? Nothing fixed. If you look at the painting on fusuma doors, ukiyoe or statues of the shoguns and monks, they sit in variety of ways. You will find some in sieza but they are not the majority. You may be surprise but the master of the tea ceremony, Sen no Rikyu (千利休) made tea in Tatehiza (立て膝) way like the portrait of a noble woman below. Can you imagine, the grave tea master makes tea with one knee up in front of the important shoguns? 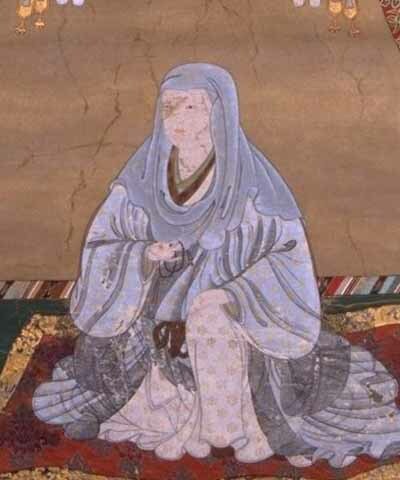 Other ways of sitting are Anza (安座). You cross the toes in front of you. If you practice yoga, this may be familiar to you. Agura (あぐら). You cross your legs a little deeper than anza. This is a quite common way to sit on the floor for us now too. Some say Agura causes bowlegs that many Japanese girls suffer. Rakuza (楽座). You put the back of the feet together. I see many babies sit this way but for adults this may not be the most comfortable one. I´ve seen people having trouble with this in yoga classes. Rakuza seems to be a common way of sitting for the ancient Shoguns or the Emperors. This statue shows how he would sit. Wariza (割座) also called onesan zuwari (お姉さん座り). First you sit seiza then slide the legs on one side. Your bottom is on the floor. This samurai is even leaning onto his sword. 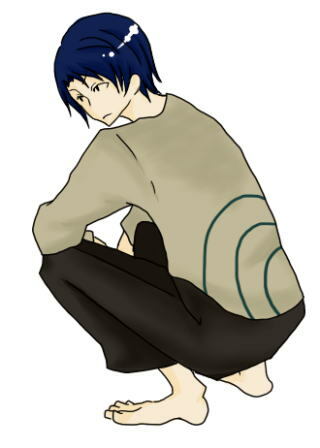 Sonkyo (蹲踞) is what Japanese call, unching style (うんちんぐスタイル) because this is how people crouch in the toilet. 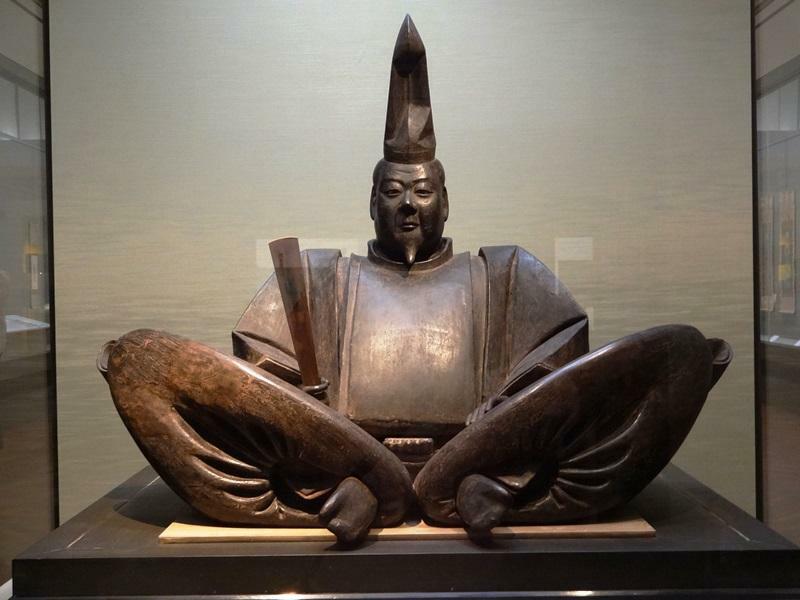 Samurai were sitting this way even in the Edo period. 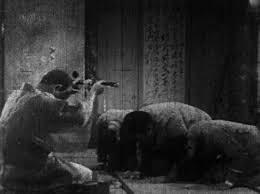 In the samurai TV programs, all of them sit in seiza but in the reality, sonkyo seemed to be more common. Sonkyo is also called, “Yankii zuwari (ヤンキー座り)”. Bad youngsters in the 80s would sit like this and the name was established. Kikyo (跪居). It looks like sonkyo but you lift the heels and sit on the toes. If you have seen sumo, this is kikyo. The image of samurai sitting seiza style seems to be the influence of TV programs and films. Have you ever sit seiza? Maybe you are better than me but I can´t do it even for five minutes. After 10 minutes, my legs are already numb. Samurai were warriors and had to be always attentive to a sudden attack. It wouldn´t have much sense if they had numb feet and could´t fight. You could say that samurai must´ve been used to it. Perhaps, but it´s not practical. 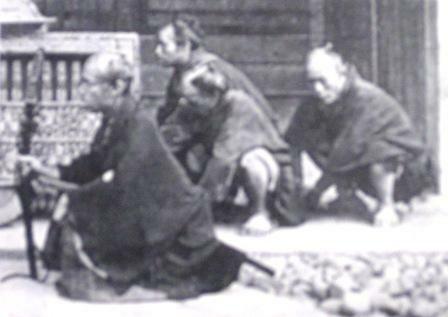 Sitting seiza could impede a quick reaction to the enemies. 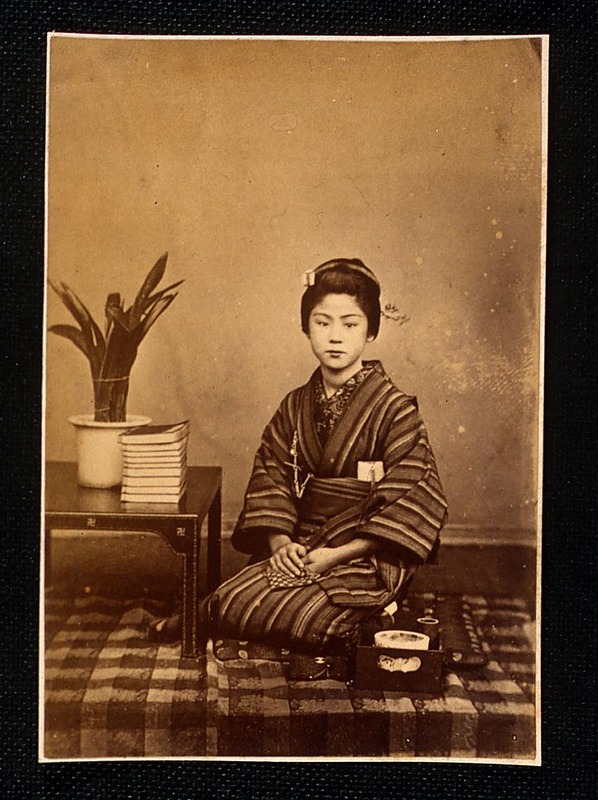 Until the mid Edo, the correct way of sitting (seiza) was agura (cross legs) or Tatehiza (one knee up). What we call now seiza was called Kiza (危坐/跪座). Tatehiza is more appropriate for Samurai. This is from Iaido. So when people sit in seiza? Samurai were obliged to sit seiza to see the shogun in Edo period. It was the way to sit to show the obedience and loyalty. In the middle of Edo period, seiza was becoming more common. The book “正座と日本人 (Seiza to Nihonjin / Seiza and Japanese)” explains that seiza was a symbol of the control of Shogunate. Shogun and Daimyo (feudal lord) forced the lower class samurai to show the obedience. Or perhaps it was introduced as a courtesy in the hierarchy society. When I was at school, seiza was used for a punishment. If we forgot homework, seiza. If we forgot any class material, seiza at the back of the room. If we don´t listen to the teacher, seiza. In the sense of obedience, it´s still functioning. But this could make more Japanese people dislike seiza. There is Japan Seiza Association in Japan. Their aim is to give better image about seiza and talk about anything related to seiza; history, furniture or event. If you can read Japanese, maybe it´s interesting to have a look.